Product #20782 | SKU DAD6001-BC | 0.0 (no ratings yet) Thanks for your rating! Designed to attach DPA microphones to external phantom power sources. 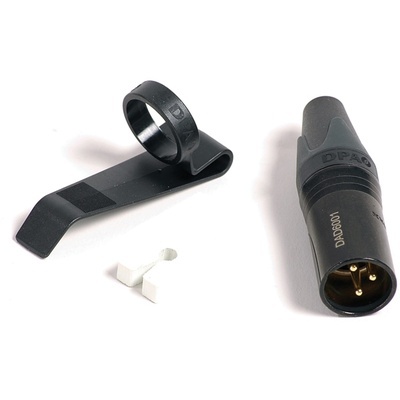 The DAD6001 is an adapter featuring XLR-male and MicroDot connections. The adapter is designed to attach DPA microphones to external phantom power sources such as preamps, mixers, etc. This version features a belt clip for added convenience while using in mobile situations.